Pack your bags and ride the rails from America's River Walk to the French Quarter! Pack your bags and ride the rails from America's River Walk to the French Quarter! Your first stop is San Antonio, Texas. 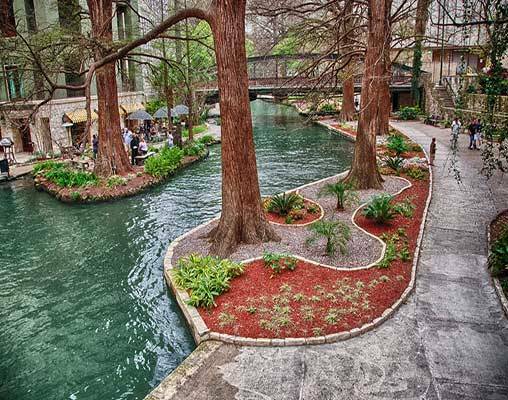 Get into the “Lonestar spirit” as you walk along the beautiful River Walk, which is lined with various shops, restaurants, and other fun attractions. Embark on a tour of the city on a fun river boat, and have a chance to rediscover history as you visit the famous Alamo. Following your time in Texas, board Amtrak's Sunset Limited for your train journey to fabulous New Orleans! 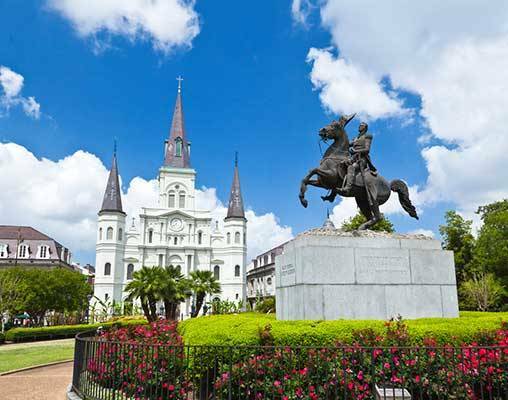 Experience the heart of jazz as you surround yourself with the scenery and sounds of the French Quarter, visit an above ground cemetery, and take a stroll down the celebrated Bourbon Street. You truly will get a taste of the south on this 7-day rail adventure! Welcome to San Antonio! The evening is yours to explore this beautiful and culturally-rich city. 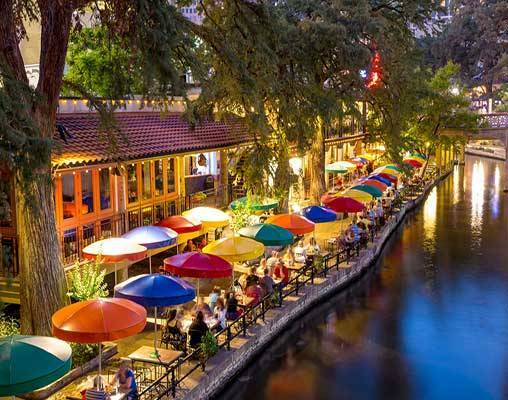 If you are looking for something to do, perhaps take a stroll down the gorgeous Riverwalk, which is lined with restaurants, patios, art galleries and shops. Enjoy the scenic, yet festive atmosphere of this amazing city! Overnight San Antonio. Today, begin using your multi-day hop-on, hop-off sightseeing tour of San Antonio. Today, you will explore famous San Antonio landmarks, like the Alamo and Mission San Jose. Your tour also includes admission to one of San Antonio's many fascinating museums and a leisurely riverboat cruise along the San Antonio River. Overnight San Antonio. Continue using your hop-on, hop-off sightseeing tour. Hoping to scope out a site your tour didn’t include yesterday? Go for it! Go ahead and explore the fascinating city of San Antonio! Overnight San Antonio. Today, travel to the Amtrak station and board the Sunset Limited to New Orleans. Kick back and relax as you watch the gorgeous southwestern desert landscape pass by your window. Upon your arrival into the “Crescent City,” you will travel to your downtown hotel. 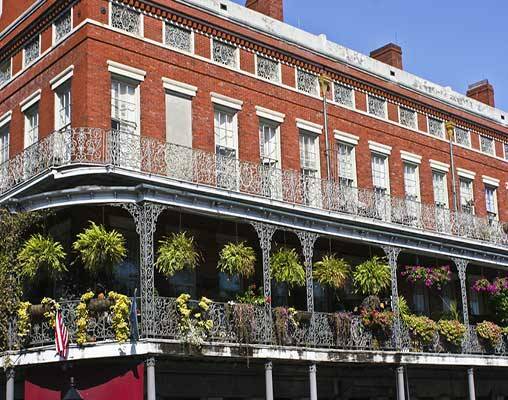 After you are all settled in, go ahead and start exploring the exciting streets of the French Quarter. Let the festive jazz music serenade you as you get to know New Orleans. Overnight New Orleans. Today you will discover all the “Big Easy” has to offer on an exciting city tour. Spend the day absorbing the sights and sounds of the world-famous French Quarter and historic Jackson Square. Visit the city's remarkable cemeteries, or "Cities of the Dead," as the locals call them. Marvel at stories of voodoo and piracy on Bayou St. John, the waterway used by Jean Lafitte and his band of pirates. Make your way to the serene shores of Lake Pontchartrain. View the longest bridge over water in the world, the Lake Pontchartrain Causeway. Overnight New Orleans. Your journey comes to an end today. Many of our rail vacations begin and end in popular port cities. Spice up your vacation by adding an ocean or river cruise aboard your preferred cruise line to your itinerary and experience the best of both worlds. Popular cruises include Alaska’s Inside Passage, the Panama Canal, New England and Eastern Canada, and historic river towns along the Mississippi River. Look for the Add a Cruise icon to identify those vacations that offer pre- or post-cruises. Ask your rail specialist how you can Add a Cruise! Built in 1859, this beautiful structure has become an important part of San Antonio's history. The hotel is located downtown, immediately adjacent to both the Alamo and the Rivercenter Mall. In addition to its significance as a historical landmark, the Menger offers unparalleled amenities including: The famous Colonial Room Restaurant, the Menger Bar, downtown San Antonio's largest outdoor swimming pool and a full service spa. Enjoy the best of the past and present in a single location at the Wyndham Riverfront New Orleans hotel. Only steps away from top attractions in the Big Easy, this hotel in the Warehouse District of New Orleans pairs historic features like original exposed brick and plantation shutters with modern touches. Click here to view testimonials for Riverwalk to the French Quarter. We were centrally located in both San Antonio and New Orleans, and the tours were phenomenal. Everything was well planned and interesting. The duration in both cities was ample. 2nd May 2019 $1,099 Please call for availability. Enter your details below if you would like to be notified when 2021 dates and prices are available for Riverwalk to the French Quarter. Prices are land-only, per person based on double occupancy. Prices are correct at the time this web page is published; however, are subject to change. Activities referenced in trip itinerary during free time are for suggested purposes only and are not included. Additional dates are available. Please contact a rail specialist for details. Hotel accommodations are subject to change based on availability at the time of booking.